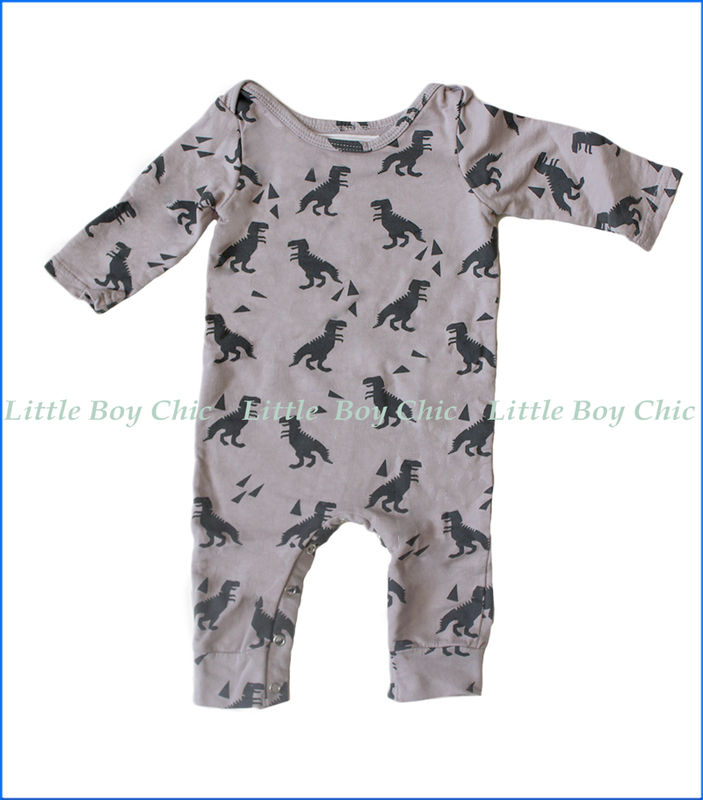 Dinos are on the roam in this one-piece long sleeve romper by Wyldson. Easy snap button closure on the legs. Crew neck.